Are you looking for business networking in East Adelaide? Are you a business owner or sales person? Looking for new leads and ideas. 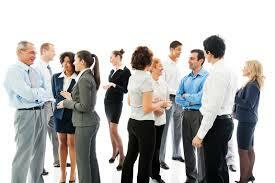 Then come to our business networking in East Adelaide events held at our office monthly. Yes I would like to attend? click here. Crying alone in business, needing to speak about your business with like minded business owners. Our monthly business topics give you new ideas, improve specific aspects of your business and gives you a chance to share your business experiences. Feeling that Weekly business networking is too much time and not enough return. Our approach is monthly is better for the busy business person. Wanting to learn how to properly business network. Our group provides you expert training in how to business network and test your new skills in an experienced business networking environment. Not sure where best to business network. Get guidance from our experience. Frustrated by not attracting quality business referral partners. We give you this opportunity and expert guidance on getting referral partners which can dramatically improve your business success. Wanting a quality business network framework which expands your network and ideas. See how other can inspire you to think bigger and tackle your largest business concerns. Finding it hard to meet anyone when you go to big business networking events. Our small but beautiful group ensures you meet everybody. It is easy to connect and get to know your referral partners. Wanting to meet key business industry or targets. Well our network becomes your network. Network collaboration can explode your networking success. Have the chance to exchange and receive introductions. As well as meet potential referral partners one on one. All month after month. Wanting to get loyalty from your referral partners. Our exclusive business category means you have your business type all to yourself. Our innovative and successful group also includes an interactive discussion on a business challenge each month. This entitles you to 12 specific business improvement strategy workshops per year. Wanting to be part of the fun with our closed Facebook group. Post your updates, offers, ideas and stay inform with your referral group. Get low cost business branding and advertising through our facebook and member listings distribution. That is right your business name and listing goes everywhere the group does. Yes I would like to attend as a guest with no obligation to join here. Women and Men. Professional and trades persons. More ladies and health practitioners are particularly welcome. Specialist Lawyers, Printer, Marketers, Computer repair, Mechanic, Plumber, Car Seller, Dentist, Chiro, Physio, Massage, Painter, Entertainer, Coffee Maker, Cafe, Restaurant, Clothes retailer, Naturopath, landscaper, pool services, builder, photographer, insurance broker, handyman, dry cleaner, cleaner, mobiles, video maker, carpets, courier, fitness trainer, personal stylist, life coach, travel agent, furniture, electronics and security services. 202 Gorge Road Newton SA 5074. Yourself, attired suitably for your business targets and your business cards/brochures. Some appetite. Yes breakfast for morning and Supper for evening is provided. Coffee and drinks is also provided. Attend your first as a guest to see if our group is right for you. If you choose to reserve your business category an annual fee and application form is required. Our business Networking group commenced in January 2013 and is standing the test of time. With some of our founding members still with us today. So get out to our business networking event. Remember that action creates results. What do you have to lose as a complimentary guest. It may be a great action to take for your business right now. Our tip -To achieve in business networking you must consistently see referral partners at least once a month. Meeting a potential referral partner once or sporadically will not work. Join us now to not only get a chance to promote your business and get referral partners, but also do it more powerfully business to business and face to face. Or Call 83374460 Romeo for Business Networking in East Adelaide. Share Business Networking in East Adelaide with business owners click here to email them.